The nation has been personified as Uncle Sam for so long, the origins of the connection are hazy. Some trace the linkage back to Samuel Wilson, a Revolutionary War-era supplies inspector the longshoremen referred to as “Uncle Sam”. The character first appeared in print in a comic published in the weekly New York Lantern in 1852. 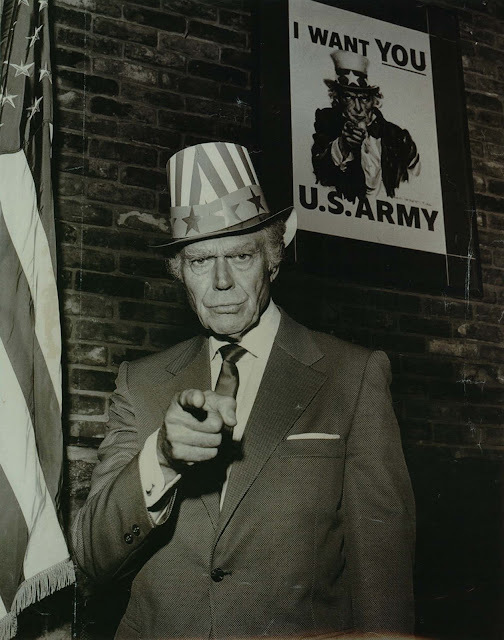 The iconic Uncle Sam, however, responsible for recruiting generations of soldiers, has a direct connection to the Hoosier State. Uncle Sam, half-length portrait, pointing at viewer as part of the United States government effort to recruit soldiers during World War I, with the famous legend "I want you for the U.S. Army," ca. 1917. Walter Botts posing as Uncle Sam in front of the iconic poster, ca. 1970. 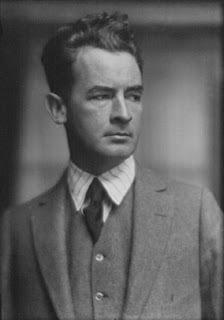 The sometime model was a professional jazz musician in New York at the time Flagg painted his portrait. Born in 1900 in Jackson Township in Sullivan County, Indiana, Botts acknowledged English, German and “half-Crow Indian” ancestry. Equally adept at sports and music as a child, Botts’ youthful exploits included walking from Shelburn to Terre Haute to purchase his first cornet at the age of six, and breaking his famously long nose in a basketball game—and resetting it himself. Soon after enrolling at Purdue University, Botts enlisted in the war effort. When his plan to fly planes was curtailed by his father, Botts tried for a job as a wireless operator in France, although the Armistice came while he was waiting to ship out from Hoboken, New Jersey. With an honorable discharge, Botts resumed his studies, ultimately leaving Purdue to tour with Doc Ross’s Jazz Bandits as singer and saxophonist. Performing around the country, Botts enjoyed extended stints in Texas and California, where he hobnobbed with movie stars and took a screen test (although his Hollywood hopes were dashed by the once-broken nose). The band, which came to include Bob McCracken, Harry James and Jack Teagarden, had regular gigs at New York’s toniest watering holes from The Stork Club to the Waldorf Astoria. Botts was presented with a commendation for service by President Johnson in 1969, and his memory honored posthumously by President Nixon.